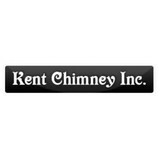 Family-owned and -operated, Kent Chimney Inc. has been in business since 1951. This has been our family trade for 100 years. We bring three generations of skill, craftsmanship and honesty to your home at affordable prices, and look forward to the opportunity to earn your business. 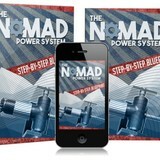 We are fully licensed and insured to provide service to all west Michigan homeowners for our cost-effective solutions. R.W. Bond & Son Family Butchers is one of West Michigan's best butcher shops. We offer a wide array of quality meats that will fit almost any budget. We'll cut your meat the way you want it. We age beef on the bone for unsurpassed flavor and tenderness! We also carry low cholesterol beef, local pork, amish chicken, smoked meats, handmade sausages, jerky, lamb, & turkey. If you're looking for all natural, preservative free meat, we have it! Craving that perfect steak, hamburger, or brat? Fire up that grill--we have you covered. We even have 17 different flavors of bratwurst to choose from. If you're looking for an affordable butcher shop in the Grand Rapids area, head to R.W. Bond & Son Family Butchers in Grandville, Michigan. While a toasty fireplace is a luxury, it also comes with the responsibility of keeping it clean. Any chimney sweep in Holland, MI can tell you that most homeowners neglect their chimneys, thus affecting the efficiency of the fireplace and risking potential disasters like a house fire. Don’t put you and your family at risk this year — find a local Holland chimney cleaning service to inspect and repair yours so that you’ll be warm and cozy when the chilly weather comes to town. 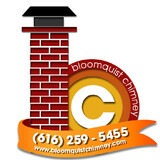 Why do I need to hire a chimney cleaner in Holland, MI? Fireplace cleaning always seems like a messy task, and that’s because it is. Creosote, better known as soot, forms when wood is not properly burned — unburned tar vapors stick in the flue, or walls, and are tricky to clean but can lead to chimney fires if not taken care of. In fact, about a quarter of all residential fires that occur in the United States are caused by creosote buildup. That fact alone should motivate you hire a Holland chimney sweep as soon as possible! Other common problems that a fireplace and chimney inspection should catch are damaged or decaying mortar and joints, leaks that let in air or water, and even animal extraction. Chimney repair is an important part of keeping your entire Holland home safe and sound, so keep yours in tiptop shape to reap its benefits safely. The Chimney Safety Institute of America actually certifies chimney sweeps, so you know if they are CSIA certified that they will do a good (and safe) job. It’s recommended that you get a full chimney inspection once a year at least, so don’t hesitate to call a chimney service in Holland, MI at any point during the year if you suspect something is not quite right. Find Holland chimney cleaners on Houzz. Narrow your search in the Professionals section of the website to local chimney cleaning services in Holland, MI and read reviews and ratings to find one that fits your needs.